Walking to Town! Large yard with ally access. Hardwood floors, Formal dine area, Tech area, Interior Laundry . The master bedroom is HUGE with a walk closet and stand alone stove. Bright kitchen with custom painted cabinets. 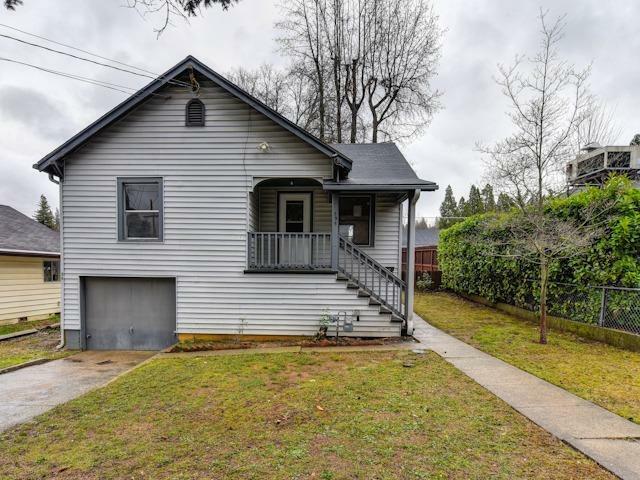 Charm and history abound in this adorable bungalow style home and generous lot with wide driveway for ample parking. Large storage area next to the garage ! Central heat ! HUD home sold as is.